Quaint, Charming And Romantic. The Perfect Cottage For A Relaxing Getaway For Two. 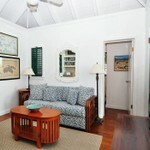 Windwardside Main House is the most intimate and traditional of all of our homes in Coral Bay. 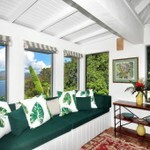 The design is reminiscent of a bygone era in the Caribbean but the amenities are modern and designed for comfort. My husband (a retired builder on the island) and I designed this home. We have years of experience of offering visitors to the island an unusual experience that brings them outside of their day to day life but is a comfortable and welcoming home away from home. Recent renovations to the house have added much to its beauty and charm. 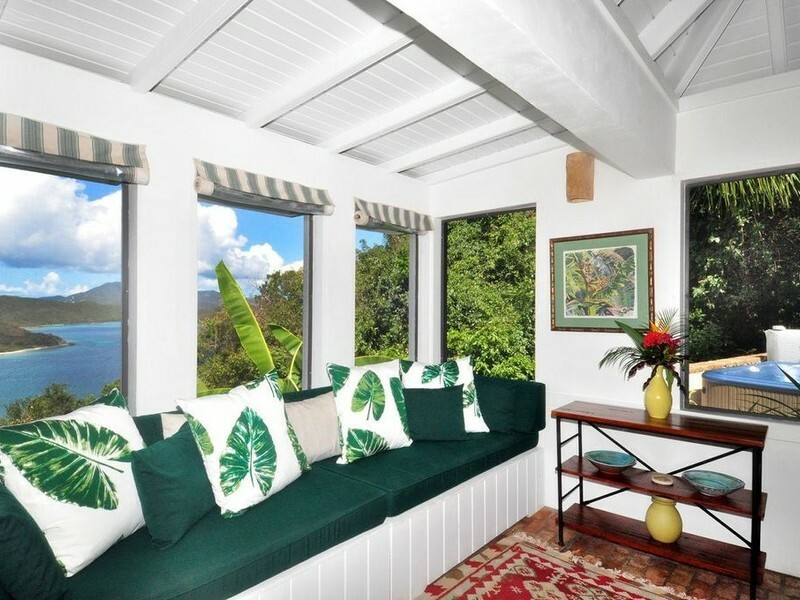 The covered porch seats four, two in wicker chairs and two in mahogany plantation chairs based on the same design used hundreds of years ago. Sugar birds will dart in an out as you sink into an afternoon or evening on the deck. All of our homes in Coral Bay are located high enough on the mountain to take advantage of the cooling trade winds. The unique orientation of this home makes it the only one of our houses where you can hear the soft lapping of the waves on the shore across the bay. 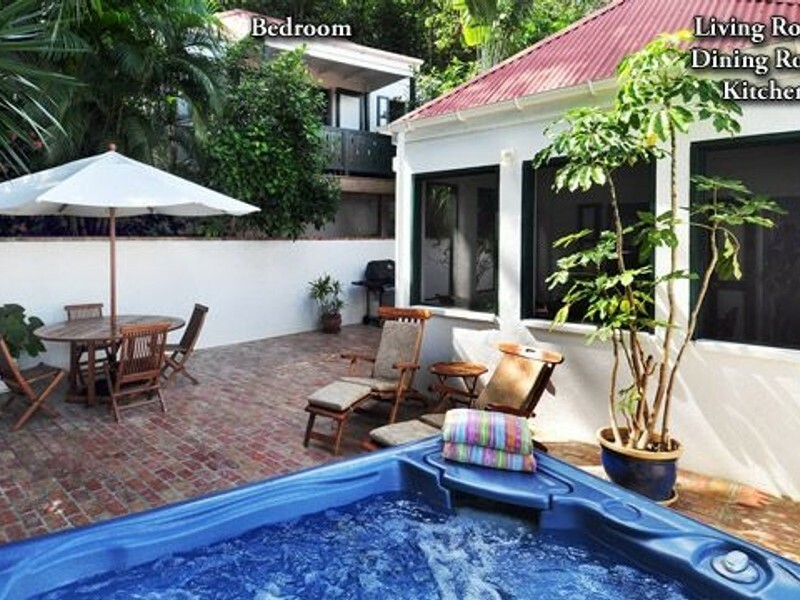 The charming detached bedroom has a four poster bed and opens onto a relaxing verandah. Fill the coffee pot the night before and surprise your partner with coffee on the verandah as a romantic way to start the day. The master bedroom has a full bath with a shower located in an enclosed shower garden that is open to the sky but totally private. 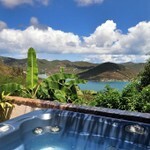 If the weather doesn't allow for that (a rarity on St. John) there is also an indoor shower and full bath located off the living room. 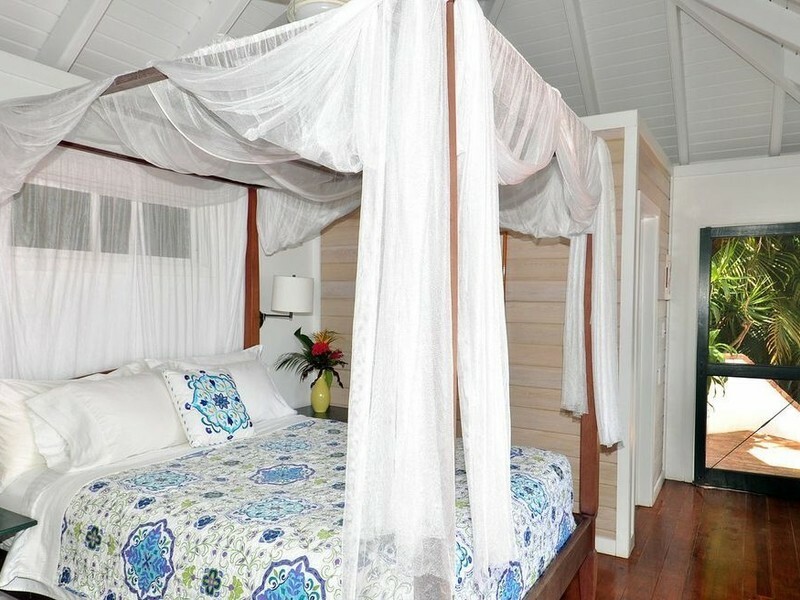 "This was the 3rd time we stayed with Calabash Cottages, and this one certainly did not disappoint! All of the standards are high and constant! The personal service, quality of the villa, and obviously the views! It all comes down to location, location, location, and we love that the cottages are far from the hustle and bustle, you get a touch of nature with the birds, lizards, butterflies, and yes even the spiders! Some days we didn't even feel the need to leave our little oasis on the mountain. Thank you to Susan and her team!" 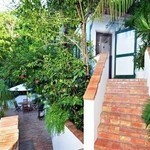 "My husband and I just spent a week at Windwardside Cottage for our honeymoon. 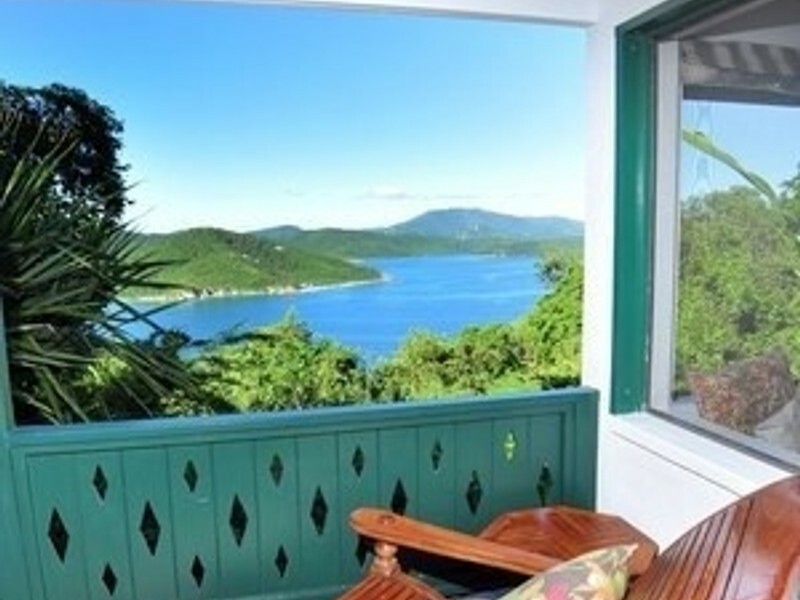 We decided on this villa because of the wonderful reviews, the detailed description and the wonderful things we had heard about the island of St. John. 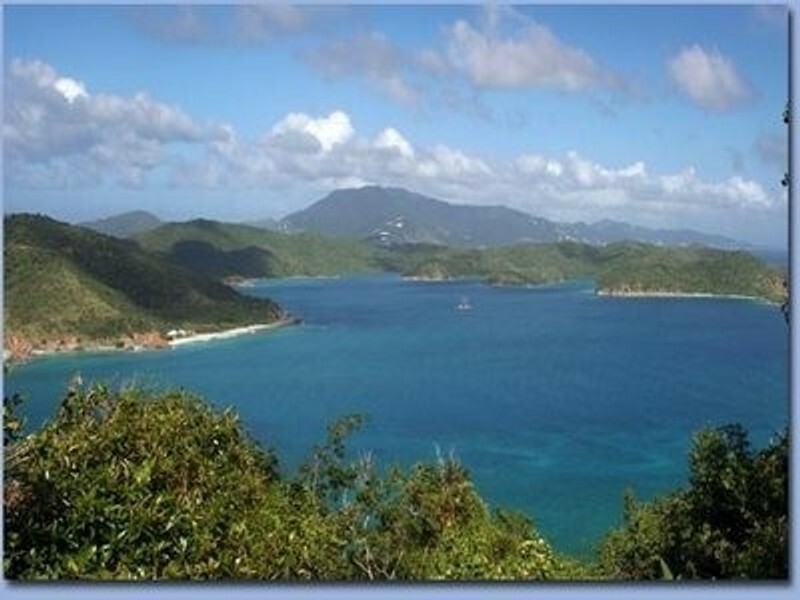 Additionally, we decided that the quiet Coral Bay side of the island would fit us better than Cruz Bay. Well, I can say that it is absolutely a gem. The villa is everything you see in the pictures! The lush landscaping, the privacy, the lovely hot tub, all of the balcony and deck options. We started every day by having a cup of coffee on the balcony off the kitchen which has amazing views in the morning, and all day! Then, we would make our plan for the day. 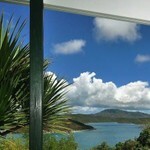 We so enjoyed Salt Pond Bay that we spent 3 of our 7 days there. The Ram Head Trail hike that starts at the end of that beach has such beautiful views and is just long to feel like we got a little work out in and earned our beach time. We loved using all the of the supplies that the house had-- beach chairs, cooler, etc. 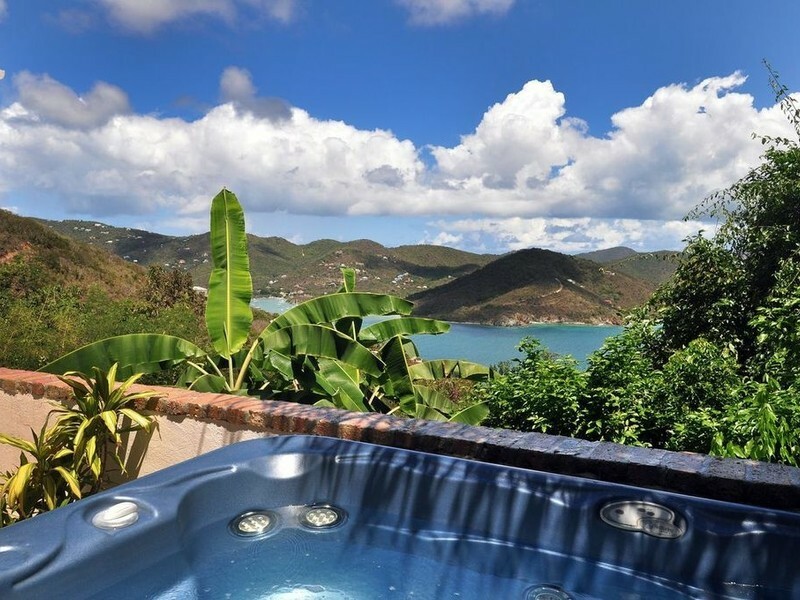 We would then make our way back home, shower and either cook at the house and soak in the hot tub or meander to one of the restaurants around Coral Bay. The food on that side of the island is VERY casual. Aqua Bistro has some nice fish options. 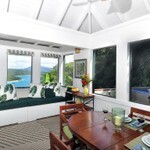 But in order to get a fancier meal, you will need to make you way to Cruz Bay, which is not a big deal at all. We loved Morgan's Mango. 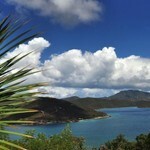 Besides Salt Pond Bay, the other beach we really loved was Cinnamon Bay. It has everything you could want to spend the day. We went for the little walk around the ruins before we went to the beach. You can rent kayaks or any other water equipment. There is also a small store and a restaurant with sandwiches burgers etc. It wasn't crowded, and the beach was spectacular. 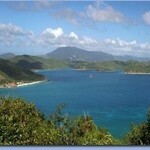 There is nothing bad to say about Windwardside or St. John in general. We did have one maintenance issue, but it was addressed and fixed within the hour. The only challenge is the drive up to the house. And it really is a challenge. Other reviews have described it as steep or bumpy. And that is an understatement. It is super bumpy! It is completely worth it, but I wish someone had described it more because we were kind of shocked the first time we did it." 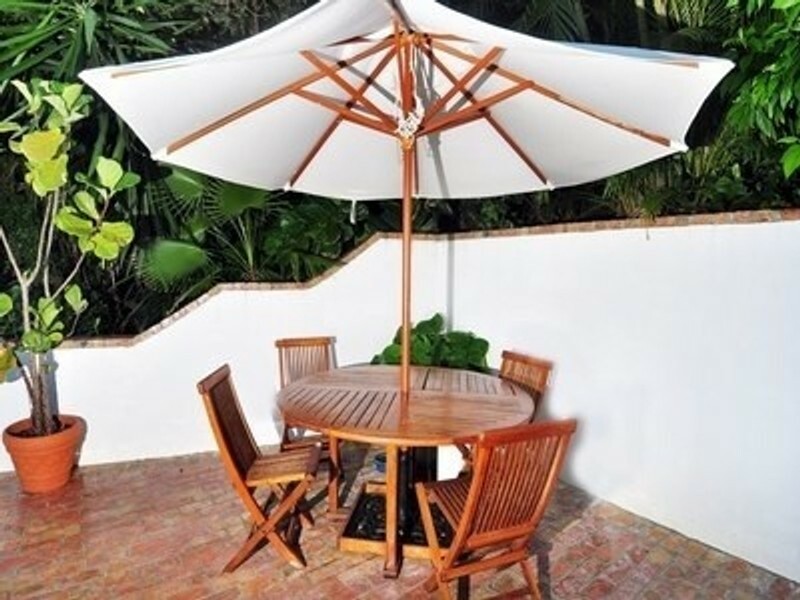 "We have stayed at Windwardside Cottage for a week every year for three years now. We just got back home and are already planning our next week there. 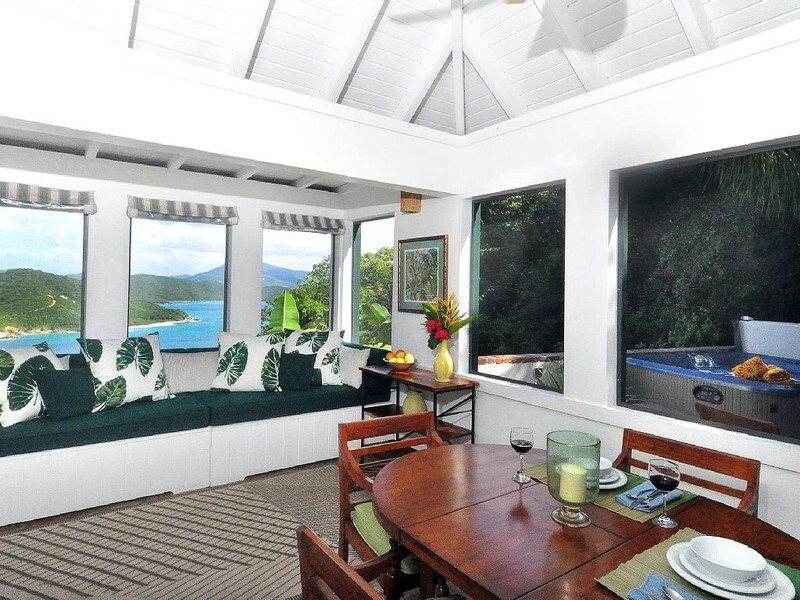 Each year, the cottage has provided a comfortable and convenient home base from which to explore the wonderful island of St. John. We travel with another couple and there is plenty of privacy for everyone as well as delightful common space for meals and relaxing in the hot tub or on the porch. The views of Coral Bay are great! If you've never been, you can't imagine how delightful it is to wake up and see such beautiful ocean, sky and flowers right from your bed! We prefer to cook at home and enjoy quiet meals -- the kitchen has everything we need. 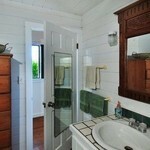 The whole facility is every bit as lovely and well-appointed as it looks in the online photos. Everything is clean and good working condition when we arrive. If anything breaks or needs attention, the staff is quick to respond. The drive up the mountainside from the main road is a bit daunting the first time -- you really do need a 4-wheel drive vehicle -- but you'll quickly acclimate to the roads. It's well-worth the drive! What we learned on this trip is that some rental companies send new guests to their residence with only directions. In contrast, a staff member from Calabash Cottages will meet first-time guests at the ferry, take them to the car rental pick up, then by the grocery if desired and finally lead them directly to the cottage and show them around. What a lovely welcome. We couldn't recommend a place more highly!!" spaciousand almost perfection! My husband and I loved the drive up because it was just fun and felt like we were staying off the beaten path. I seriously miss how I would laugh going down the hill, and after the first day my husband was a pro driving up and down. Bottom line, if you want one of those high up gorgeous views, you have to stay up in the hill tops to get those amazing pictures! And trust me this is the place to stay! The grounds are just , wow. All the flowers and greenery made you feel like you were in the jungle. I loved waking up every morning and drinking coffee on the porch , staring at the rising sun and being in awe of the views. There are bugs here though, so be mindful...staying here is being closer to nature and if you are looking for a high end resort feel I would go blow your money at the hilton...but if you want a fantastic deal for what you get and to be surrounded by absolute nature with still outstanding natural luxury experience, then please stay here! It made our trip so much fun staying on the more private side of the island. Yes there is alot to do on the boat dock side, but this side of the island has so much more breathing room...you can visit beaches that have nobody on them , seriously ! And there is a great conveince store right before you turn into the neighborhood, it just opened last year and the owner is a really great guy. He actually has an IOU system...so when I forgot my money he let me take my groceries as long as I would pay him back before out trip ended ( I did duh lol ) ...cannot find that in Texas anywhere! 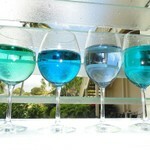 And besides that there are some great resturants, but Aqua Bistro was our favorite. We ate there 4 times and loved it everytime. And the drive to the other side of the island is just absolutly fun..at first we would drive thru the middle but after a few days we switched to the right side of island, going along the beaches...get to know your maps and do it both ways, it really is a great drive across....and please plan your beach visits accordingly. I made a loose schedule for each day ( it may have been laminated ) and by doing so we were able to visit and enjoy SO many beaches...also I highly recommend going in off season...yes some resturants will be closed, but you will be on a island that feels almost empty and that is a really amazing feeling.... it made it more romantic, less stressful ...and easier driving cause there was almost no traffic! ...back to this property.... it is wonderful...tree frogs at nightime, the outdoor shower which is so beautiful , the huge courtyard, the hot tub we spent everynight in (we rigged our laptop and set it on chair and watched movies every night out there ) , the full sized kitchen was such a plus....and the absolute best part was the customer service from the managment team!! Please I urge you if you stay here ( you really should do this anywhere you stay) and have any issue contact them and I promise you these guys will be there to fix or help out in any way. We had one small issue and literally in an hour I recieved a phone call (in suite landline) and they were on it immediatly. Truly great group of managment and because of this place and their team my husband and I had an amazing wedding anniversary week...it was just perfect in so many ways and I tear up thinking about it !! P.S I am adding pictures of not only the grounds but also some of the beaches, so that you can see what the beaches look like during off season...I will trade in every resturant being open for peopless beaches any day! Makes for much better pictures ; )"
"Vacation of a lifetime!" by Cassandra J. 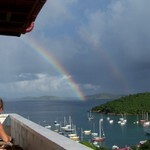 "After first arriving in St. John for the first time we were blown away by the scenery. After meeting Brian at the ferry, who kindly greeted us, look us grocery shopping and to pick up our rental car. We followed Brian back to the house which at first we thought the road leading up was never going to get us there. Then, we arrived and it was the most beautiful place! We loved the privacy, the views and of course cooking dinner on the grill almost everynight. We would return to this house 100 times over again. It was not buggy and we loved using the hot tub at night after dinner with a rum punch in hand. The accommodations for daily beach lounging and snorkeling was just icing on the cake. Plenty of towels, snorkel gear options, coolers and chairs. We had the time of our lives visiting all the beaches and swimming with all the fish and sea turtles. 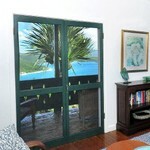 We would wake up every morning to a beautiful sunrise shinning in through our bedroom screen doors. Most relaxing and mind soothing vacation we needed after a long winter in Maine. We can't wait to rent this house again. If you don't mind driving a mile or two up the half paved, half dirt road to get to your dream vacation destination, this is the place for you. Our pick up from the airport in St Thomas was arranged for us to and from and we never had to worry about planning our taxi service. Someone was always there to meet us with a welcome sign. I hope the next couple can enjoy this place as much as we did. 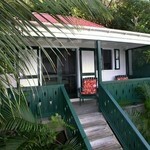 If your looking for a laid back and relaxing tropical getaway, this is it!!!!" "This villa is absolutely beautiful! The views from every window are outstanding and we especially loved the outdoor shower. 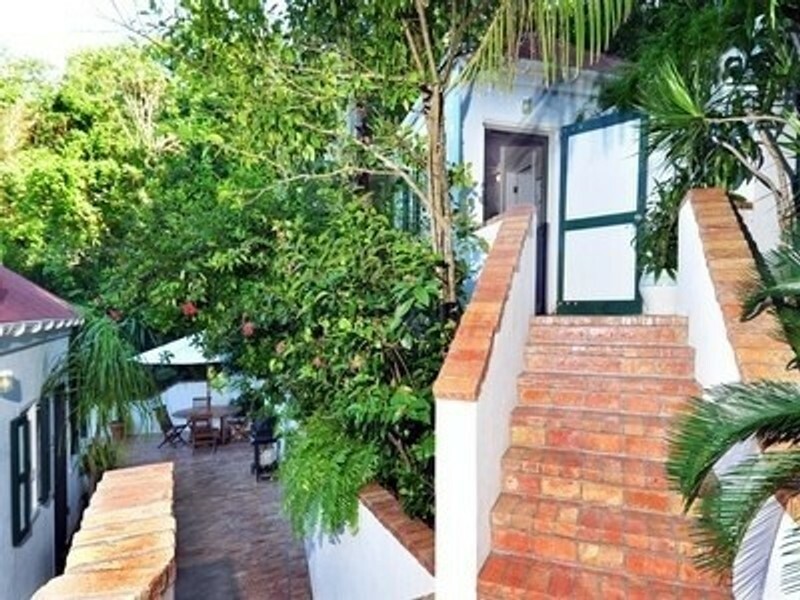 The property is very clean and very private...a perfect spot. Susan & Diane are great and make sure everything goes smoothly from the pick up at the airport, car rental and meet and greet. 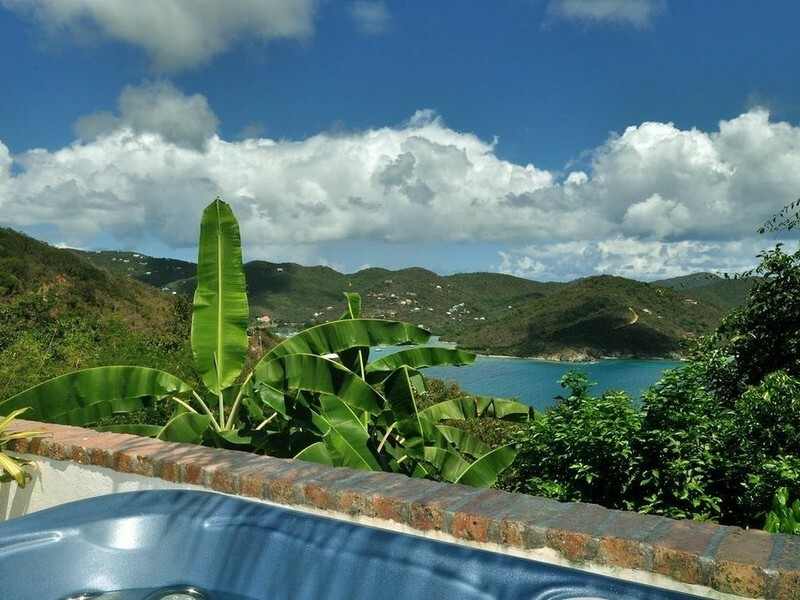 I highly recommend this villa to anyone looking for a luxurious spot to relax. We will definitely rent here again and again." "Outstanding Property" by Wayne J. "My wife and I recently returned from a week at Windwardside Main House. Because of the reviews we had read we had very high expectations, but the property actually exceeded those high expectations. For starters, Susan's team was very professional and excellent to deal with. 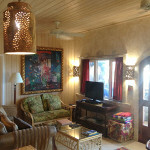 The property itself is private, clean and well maintained and has lovely furnishings and landscaping and wonderful views. In a word - romantic. 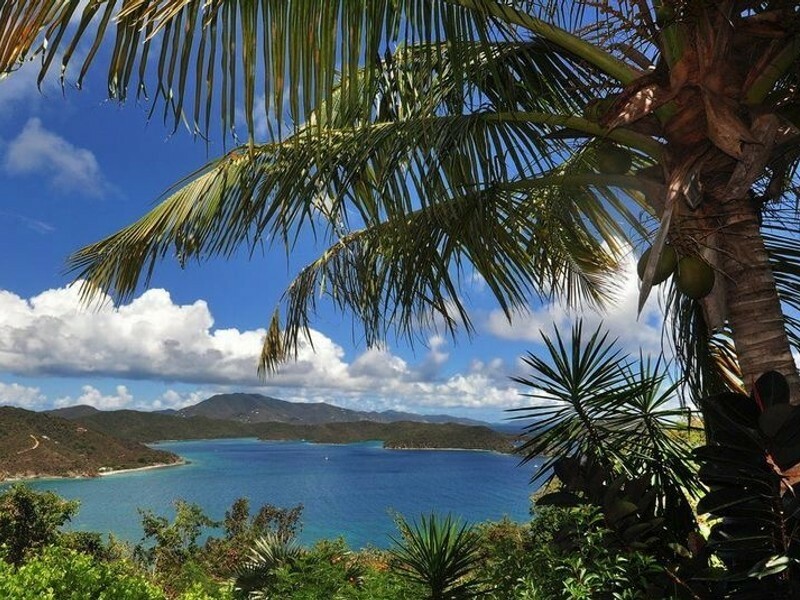 We spent our days exploring the beautiful island of St. John, but at the end of each day we looked forward to returning to our retreat on the mountainside. I highly recommend this property." "Even better second time around!" by Deanna J. "We stayed in the small guesthouse two years ago for our honeymoon, and couldn't wait to come back. This time we stayed in the main house and once again are counting the days until our return. Susan and her team leave nothing out...every detail is covered from the beautiful furnishings to providing us with all the information we needed for getting to and around the island. We loved it so much we recommended it to some friends who stayed there a few weeks before us. 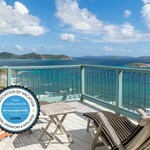 We went from there to Tortola, which was nice, but it wasn't the same because now we are spoiled!" 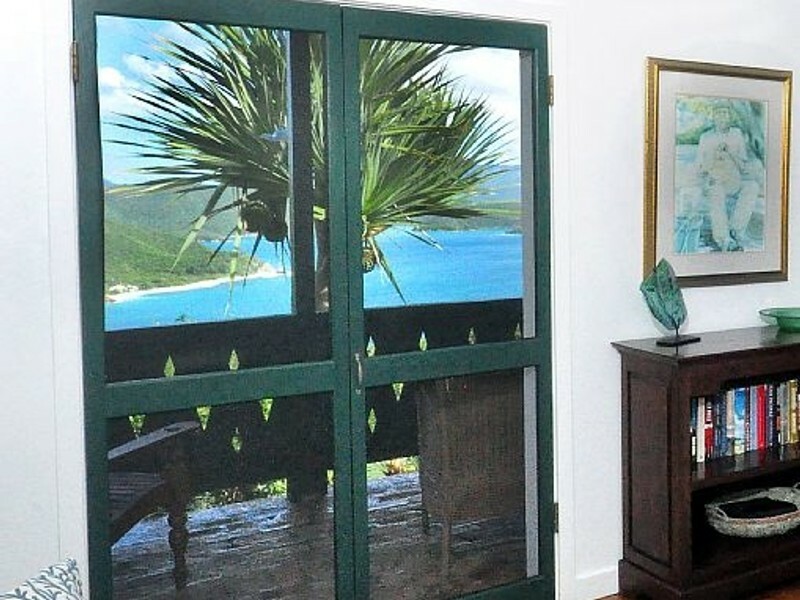 "Wonderful place to stay in St. John" by Donna G.
"We can't say enough good things about our stay at Windwardside Main House. You always wonder when you rent a place to stay if it will look as good as the pictures. Well, this place was even better than we could have imagined from the pictures. The customer service provided by Diane and Fitz throughout this process (from making the reservation, through the day we left) was superb. Fitz met us at the ferry, took us to pick up our rental car, took us to the grocery store and then to the house (and was very patient while we gathered our goods at the store). Diane checked on us after a couple of days to ensure we didn't have any questions or need anything. I've never had quite an experience like that when renting a property on vacation. The house had all the necessities for cooking, had beach items (towels, chairs, coolers and snorkeling gear), was quiet, and had spectacular views. The grounds were beautifully planted, and we could sit on the porch in the morning with our coffee, taking in the view and watching all the birds. We were concerned about renting a place that didn't have air conditioning in the bedroom, but we quickly got use to it, and the ceiling fan and breezes through the screened doors and windows made it very pleasant (an added plus to having no glass windows was being able to listen to the beautiful symphony of the night creatures..it was wonderful!). Some might think the drive up to the house is a bit daunting, but after a couple of times doing it, you become a pro. We were sad to leave such a beautiful place, but hope to be back very soon, and will definitely plan on staying here again. 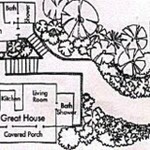 "The Windwardise Main House owned by Susan Brierley was perfect for us. The view overlooked Johnson Bay and was spectacular from both the house and the separate bedroom. Even though a couple was staying at the smaller cottage on the property, it was separated enough that we hardly knew they were there. The absolute privacy was just what we wanted. 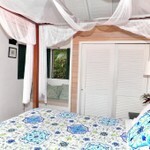 The property was clean and ready for us when we arrived and could not have provided a better venue for our vacation. Even the view from the hot tub was amazing! We can't wait to come back!" 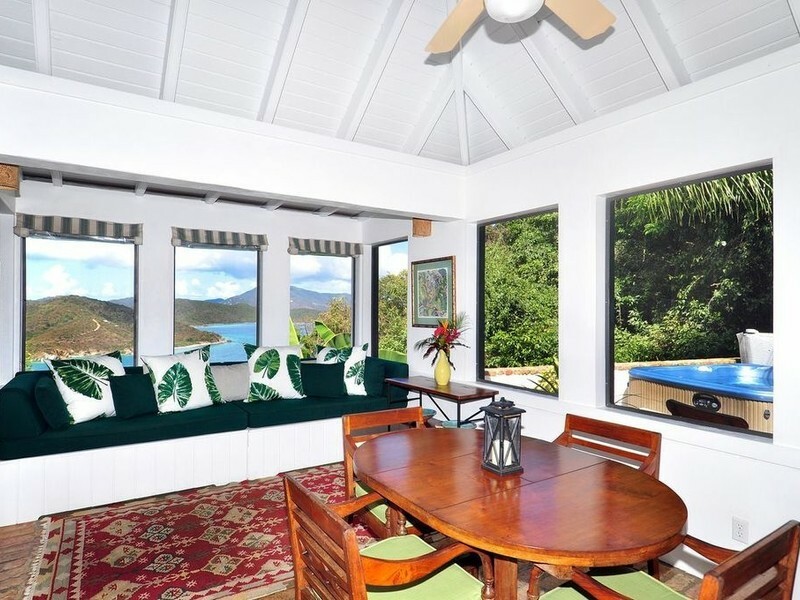 "Perfect Villa/ Exactly as Advertised" by Jody H.
"If you love to drive around in a Jeep and spend your days in the water snorkeling and swimming, you will love St. John and Windwardside could not have been more perfect. The description is very accurate and it is even more spacious and has more amenities than we expected. 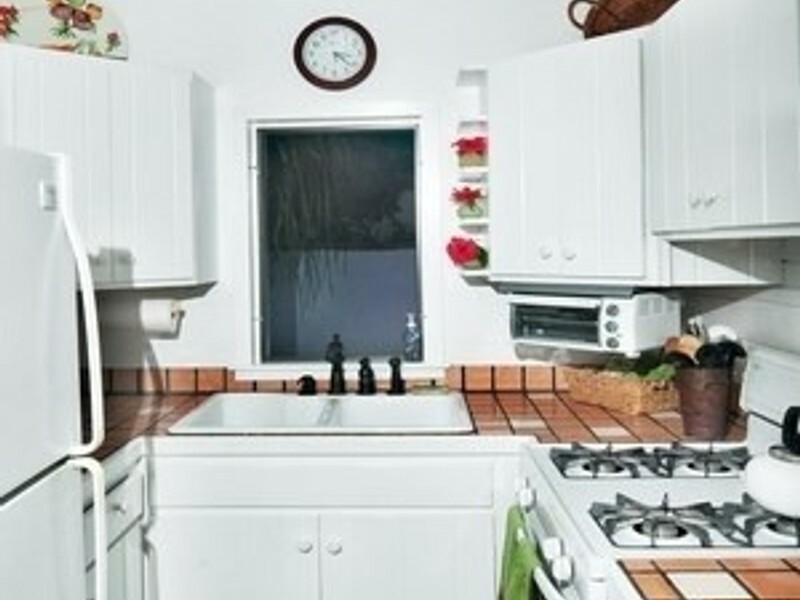 The property was clean and has a nicely stocked kitchen. 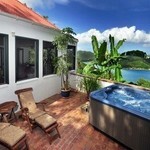 The hot tub is great for relaxing with a drink after a long day of swimming and it has a great view of Coral Bay. Also, there is a gas grill so you can cut back on restaurant expenses (typical price for dinner for two with 1-2 drinks easily exceeds 60 bucks). 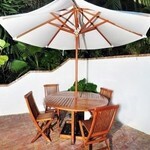 The owner's customer service was flawless and extremely quick with communication. The island intro with Brian was completely on-point and he provided great insight into how to get the most out of your stay for what type of vacation you are seeking. He probably chatted with us for an hour or more with a map and helped guide us to more casually local type restaurants and great snorkeling spots that aren't overhyped (instead of Trunk Bay, go to Jumbie). He also put us into contact with the boat Pirate's Penny for the obligatory boat trip to BVI and snorkeling (great trip and great crew... 10 person boat instead of the 50 person hoards on the booze cruise). Also, there were several great guidebooks in the living room for trails and snorkeling. We cannot wait to refer our friends and family to Windwardside and hopefully they will be bringing us back with them. best beaches for snorkeling: Salt Pond Bay/ Waterlemon Key/ Brown's Bay/ Jumbie Beach best beaches for swimming/ playing in water: Francis Bay/ Jumbie Beach favorite hike: Ram's Head favorite restaurants: Hercule's (Cruz Bay Carribbean/ Curried Chicken platter and pates are good... most affordable restaurant of the trip) Pink Corner (Coral Bay Carribbean/ great local food) Skinny Legs (Coral Bay Burgers/ yeah, it's burgers, but they are good ones and this is the place if you want to party in Coral Bay) Donkey Diner (breakfast food is good/ never tried pizza) Aqua Bistro (good food at reasonable (for St. John) prices Miss Lucy's (Coral Bay... only had the conch fritters as meal, but they are easily the best on the island... we had them at several places that were not great) Rhumb Lines in Cruz Bay if you're craving Thai really, the food on most of the island is above average and there is no fast food, so at least you can see where restaurants are so expensive"
"My wife and I spent two wonderful weeks at Winwardside, and were completely in love with the house and its landscape. Photos are quite accurate...I was sold on the beautiful brickwork of the patio...and this quality carries through the cottage's ceilings, finishes, and furnishings. 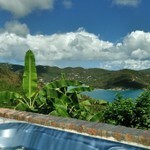 Spent many mornings and evenings in the hot tub and showered outside with the fantastic view. Breakfast on the porch, dinner on the patio...there are so many places to sit with a book that we only used lounge chairs on the patio in our second week! 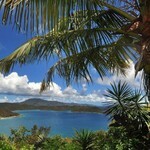 St John is exquisite. Period. We can not recommend Coral Bay (and the east side) enough for its out-of-the-way, intimate feel, friendly locals, great beaches and snorkeling...Fresh fish for the grill directly from the fishermen, live music, killer BBQ. Driving to any other location on the island is no big deal. Excellent customer service from initial booking, jeep rental, pickup, recommendations, follow-up calls to see if all was going well. 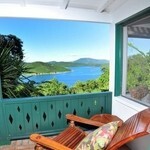 We are considering renting again and including the guest cottage for a full-family trip on St John." "My girlfriend and I booked this trip several months in advance, knowing that come September, we'd be ready for a vacation. If we only knew how true this would be. After a miserable travel experience from New York to St. Thomas, all of our frustration and contempt for a certain airline and rental car agency melted away once we were greeted by Bruce at the ferry dock on St. John. Upon arrival, Bruce arranged for a local (and reputable) car rental agency to open after they had closed for the day to rent us a car for the week. Since we arrived a little later in the evening than originally planned, Bruce suggested we stop at the market to do a quick provision to hold us over for the night. He guided us there, patiently waited as we scrambled to pick up some essentials, and showed us to the house. After giving us a quick tour, he answered all of our questions about the best places to snorkel, good restaurants to try, and beach suggestions. Words cannot express how grateful we were for this experience - certainly a welcomed and relaxed way to begin our vacation, and something that Bruce went out of his way to do for us. It was truly appreciated. 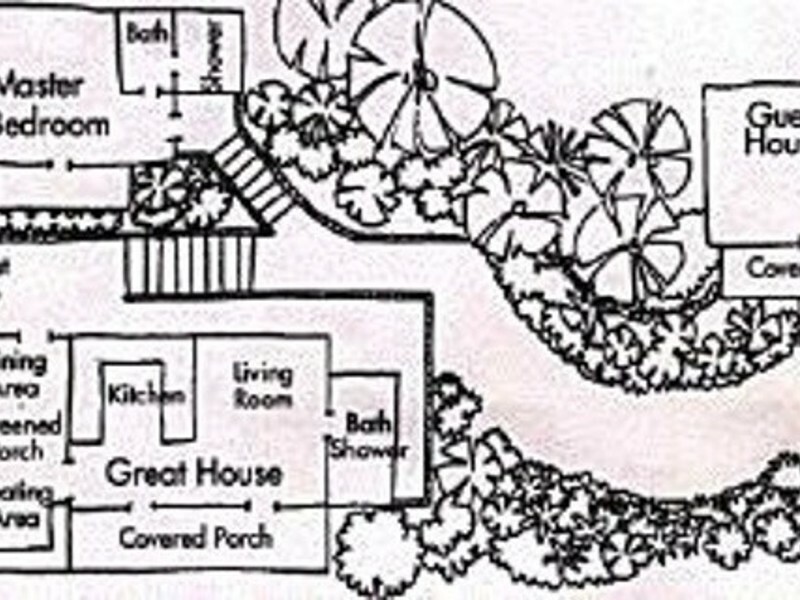 The house and grounds are just as pictured and described - absolutely lovely and perfect. 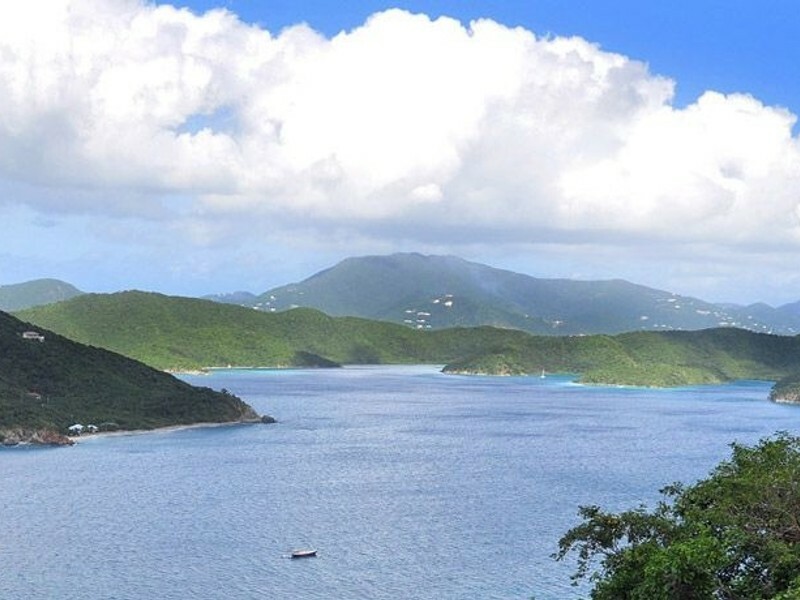 Those unfamiliar with St. John (I had been several times before this trip) should note that the island is very hilly (as seen in the pictures). The road up to the house takes a relatively confident driver if you're used to driving on flat roads and highways as I am, but a few trips up and down and it becomes almost second nature (like driving on the left). 1. 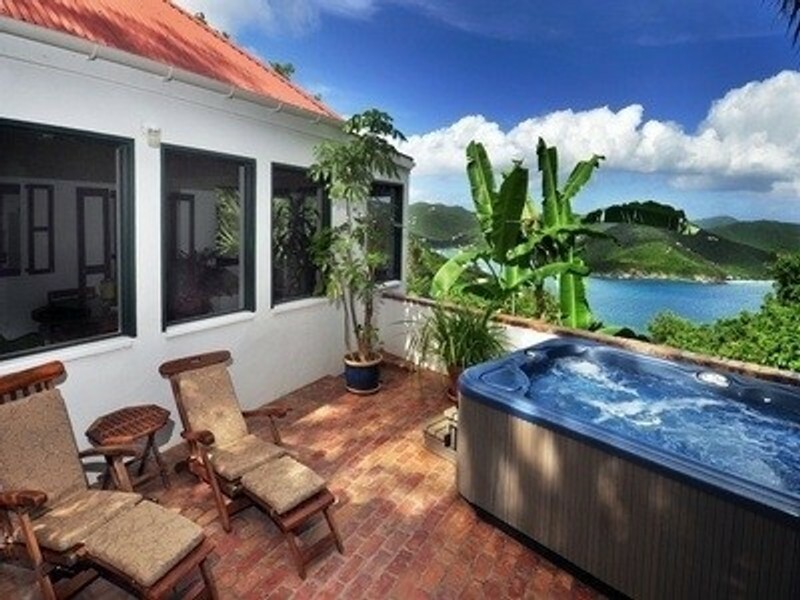 A lot of people probably think a hot tub is useless in a tropical climate. Incorrect. We used the hot tub every night to watch the stars, drink some wine, and relax. It's definitely a perk. 2. Although you share a parking area with a nearby cottage, this place is absolutely private in every sense of the word. It was nice to be here and just be by ourselves. 3. Coral Bay is far less busy than Cruz Bay. We found many of the restaurants and shops closed while we were there. This was fine with us, as we had to get adventurous and creative a few times for meals. One night, we stopped at a local fish stand and bought some filets and conch that was pulled out of the ocean earlier that day and grilled it back at the house. It was delicious! Thank you Susan, Diane, and Bruce! We hope to be back soon!" 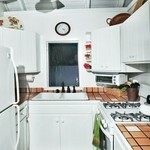 "Windwardside Main House is a good example of truth in advertising. 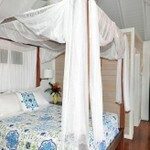 The beautiful pictures on the Calabash Cottages Website are accurate images of what you will see when you arrive. 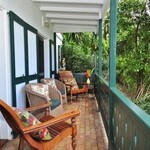 This is a peaceful spot, without road or neighbor noise, where you can read on the porch overlooking Coral Bay. The beauty of this place relieves you of any pressure to hurry off and do stuff. Not that there's not plenty to do. But we found that we were content to spend part of every day right there. The property has been landscaped beautifully with tropical plants, totally private, which broadens the options for hot tub attire. Incidentally, the hot tub is new and in perfect working condition, as are beach chairs and snorkle equipment. We found that the owners want to know immediately if something is not in working order so that they can replace it. Which leads us to what made us know that this place was legit. after our first contact with owner, Susan Brierley. You will quickly notice fastidious attention to detail, anticipation of what you want to know next, and her immediate response to every communication. We suggest you follow her advice, and you will be grateful. Susan will check with you frequently to know if everything is OK. This owner gets an a+ on communication. We chose to eat in most of the time, buying what we needed for the first couple of days in Cruz Bay after we arrived by ferry, where we were met by David (the nicest guy in the world, who led us patiently to the rental car place, grocery, and then to the house at the other end of the island). During the week, we got whatever we needed at Lily's Market in Coral Bay and also bought fresh fish at the roadside. The yellow-tail snapper was fantastic. Our favorite place to snorkel was South Haulover Bay, where you can park right at the beach and there is a good coral reef to the right and the left without a long swim. We hope to return to Winwardside Main House next year." 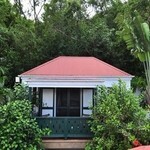 "Loved Windwarside" by Allen K.
"My wife and I stayed at the Windwardside e for two weeks. We had a fabulous time. The villa was almost exactly as depicted in the pictures. Everything was spotless and freshly made up for us. The cottage was very spacious which we greatly appreciated. The separate bedroom/bathroom was a bit odd at first, but we easily got used to it and actually liked it. The main house has everything you could possibly want and was so relaxing. We enjoyed the hot tub on a daily basis just after we came back from the beach for the day. Having not one but two outdoor showers available was luxurious. We made our breakfast each morning and ate it in the roomy and airy dining room and sat on the outside patio each night talking and star gazing. The views from almost anywhere on the property were gorgeous. Susan and Diane were wonderful to deal with before we arrived and were in contact with us during our stay to see if we needed anything. They had someone waiting for us when we got off the ferry in Cruz Bay who escorted us to pick up our rental car, go to the supermarket for a quick shopping, and then take us to the cottage. Simply great service. BTW, the folks at Courtesy Car Rental are wonderful to deal with and the discount that Susan arranges with them is not trivial. The road up to the cottage was a bit challenging at first - perhaps because we arrived at night. But by the light of day it became just part of the fun of staying at the cottage. Staying in Coral Bay was divine. There are more than enough very good restaurants to keep you happy for several days. 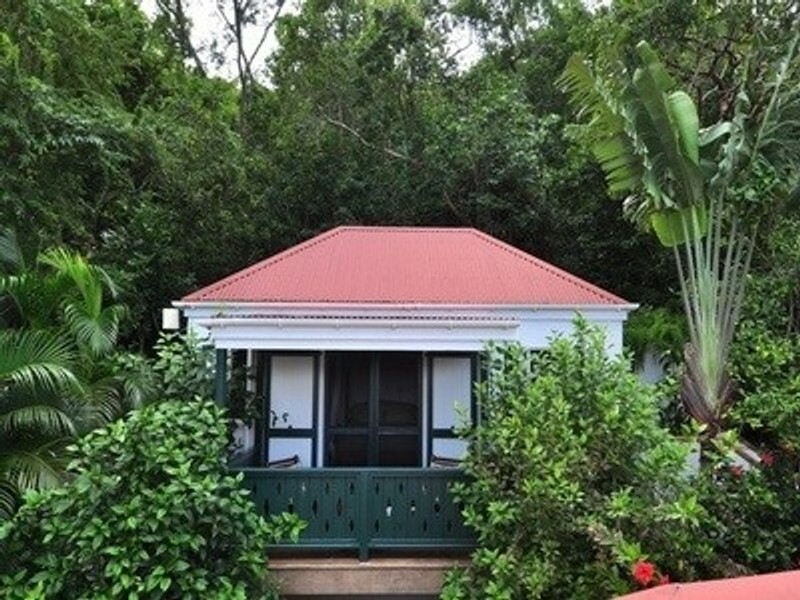 The cottage is just a short drive to all of them, as well as to Salt Pond Bay which is a wonderful beach to visit and has some good snorkeling. The cottage is also a 10-15 minute drive to several other East End beaches, Hanover, Haulover, Vies that are wonderful, not crowded and also have good snorkeling. Staying close to Coral Bay is absolutely the best decision we made. Driving to the famous North Shore beaches, such as Maho and Trunk was easy and not too far away. Susan also helped arrange our pick-up at and return to the St. Thomas airport by Dynamic Tours. It went very smoothly. All in all I cannot recommend Windwardside highly enough. We have a place to return to on St. John." 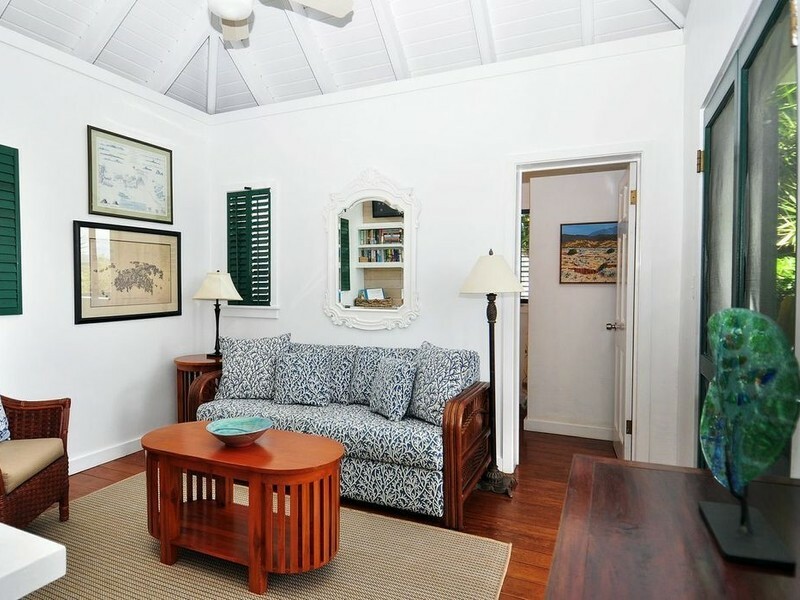 "My wife and I rented Windwardside Main House back in 2007 and enjoyed it so much that we went back again this year for a winter getaway! 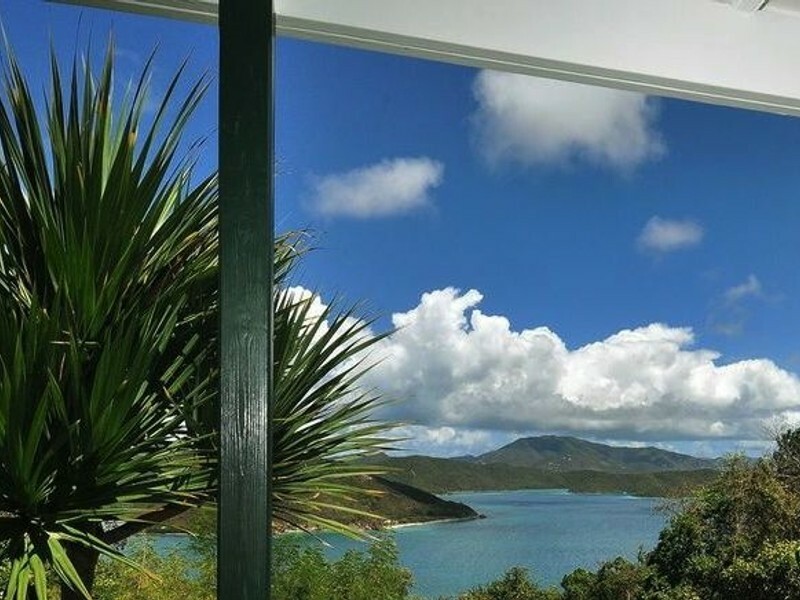 It is the perfect retreat with fantastic views and lots of privacy. 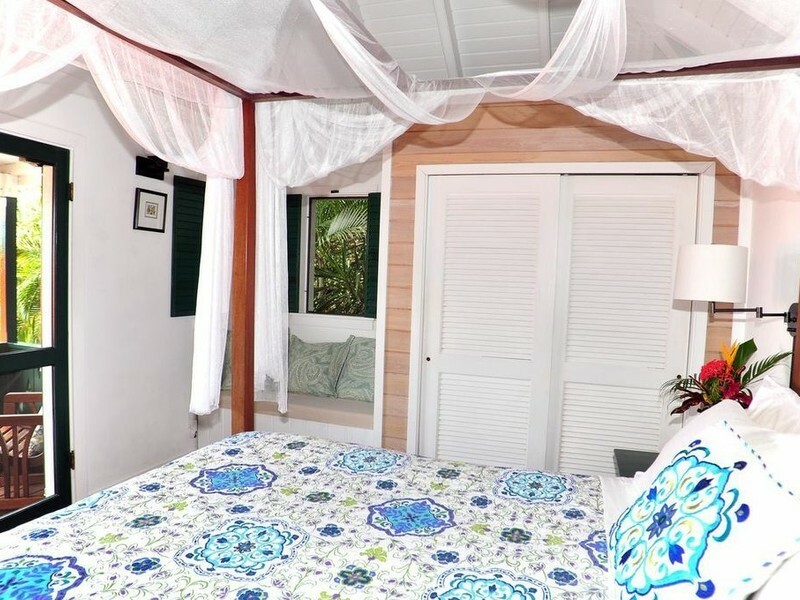 The great house is perfect for dining and the covered porch is a wonderful place to sit, relax, watch the birds feeding, and enjoy the view of Coral Bay! The bedroom is perfect and the outdoor shower is a real treat! 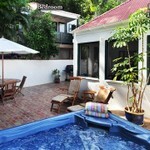 I particularly enjoyed the courtyard and hot tub to unwind after a day of hiking and snorkeling. 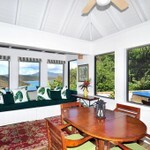 We highly recommend Windwardside for anyone looking to stay on the 'quiet side' of the island. Susan and Diane are great to work with and I am certain we will be back again in the near future!" 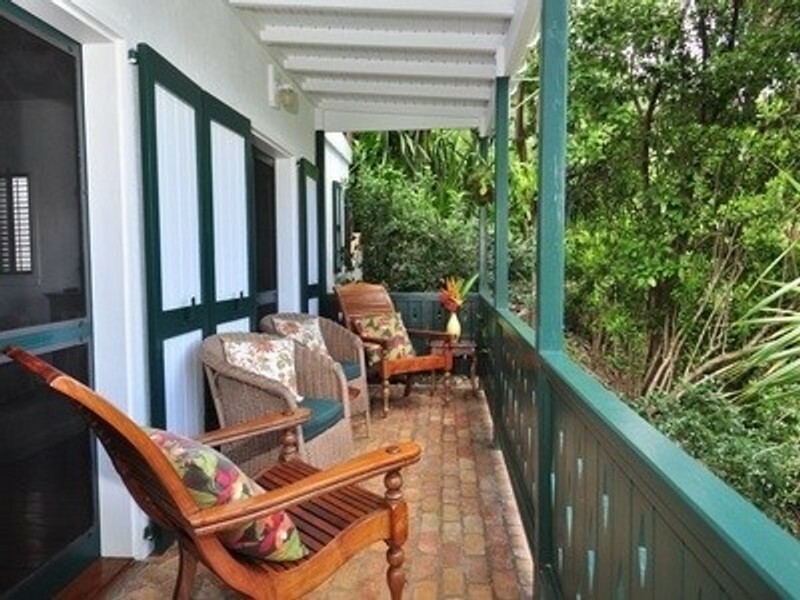 "We rented Windwardside cottage with five days notice after finding their discounted rate on Home Away. Diane did everything possible to help us get to the house. We were met by Bruce who gave us a thorough introduction to the island and escorted us to this great house atop a rough but fun dirt road. 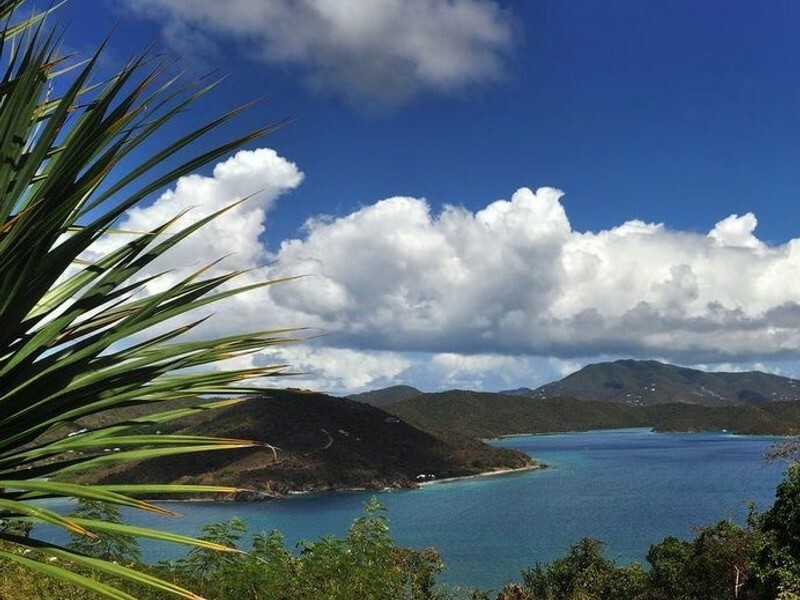 For beaches, we recommend Little Lameshur (gorgeous and private), Salt Pond (hike the Ram's Head trail and snorkel) and Maho - shallow, and easy for learning to snorkel. We swam with sea turtles there." All payments are by check or money order. Special arrangements can be made for guests located outside of the US. Once you decide to reserve with us we will hold you reservation while you send your check for 50% of the total. That should be sent as soon as you reserve. Your balance is due 30 days before you arrive. If your reservation is made less than thirty days before arrival the entire payment is due. Once we reserve a week for you there is a mutual agreement between us. That means that we will no longer offering it to other guests. Because rental houses do not get walk in guests like hotels do we cannot make refunds for any reason unless we are able to find another guest to fill the same house for the same week. When we are able to fill a cancellation (which we can usually do if given enough notice) we do not charge a service fee or cancellation fee. If this is a concern we strongly suggest the purchase of trip cancellation insurance. Our rates do not include local hotel tax of 12.5% but you will find no surprise fees. We do not charge a reservation fee, a service fee, a cleaning fee or a damage deposit. We treat our guests with respect and find that they return the favor by leaving our home in good condition. We accept normal wear and tear as inevitable. Our guests arrive via the St. Thomas airport (STT). They will then need to take a taxi van (shared) from the airport to the ferry unless they make other arrangements. Most of our guests use a private transportation system that will take them directly to the airport without interim stops on St. Thomas. We can assist with these arrangements. 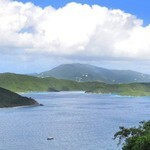 The trip from the St. Thomas airport to the Redhook ferry dock takes about 50 minutes. Ferries from the Redhook dock leave every hour on the hour and take 20 minutes. The charge is $7 per person plus $4 per piece of baggage not including carry on. We can make your car rental arrangements and get you a 10 percent discount if your reservation is made in advance. The car rental company that we use, Courtesy Car Rental, is a small company. If they are booked we may not be able to get you a discount but we can still help with make your arrangements. For guests who are unfamiliar with the island we are happy to meet your ferry. If you have visited the island recently and are comfortable finding your way to Coral Bay we will arrange for the car rental company to wait for you at the ferry and send you to our meeting point in Coral Bay. In either case we will lead you out to the cottage, give you an orientation and answer any questions about your visit. We do everything we can to make your arrival as smooth as possible and give special attention to guests who experience flight delays.